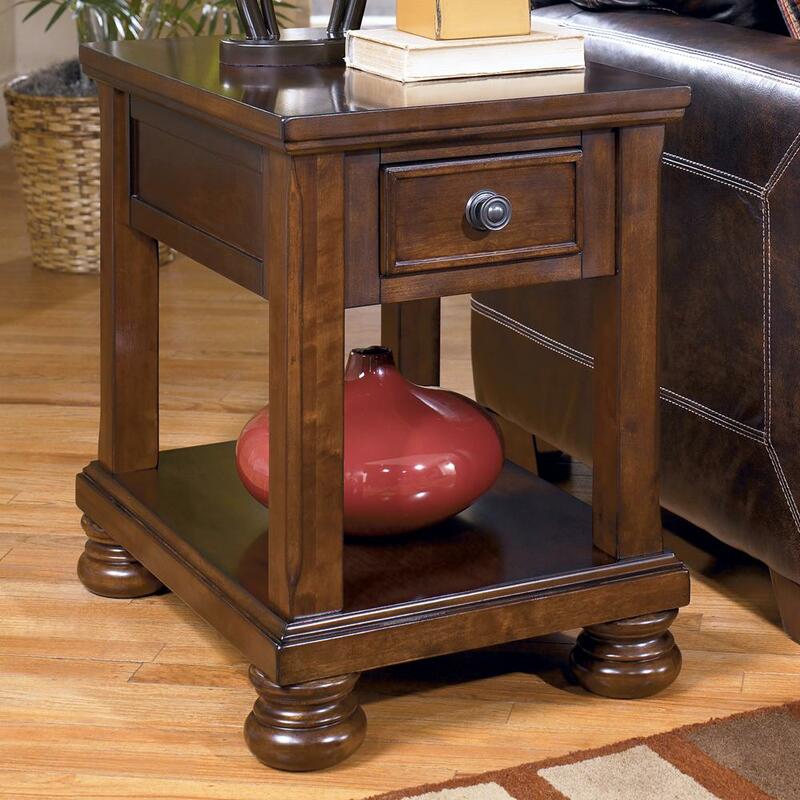 Add rustic style and function next to the chair or sofa of your living room seating group with the Chairside End Table. 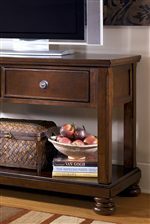 The narrow-width table offers a great place to keep a lamp with a drawer and open shelf for additional storage of frequently used items. Turned bun feet complete the look of this great table. Drawer: 7" x 12 7/8" x 3"
From Shelf to Apron: 12"
Shelf: 18 5/8" x 26" x 2 7/8"
The Porter Chairside End Table at Rotmans in the Worcester, Boston, MA, Providence, RI, and New England area. Product availability may vary. Contact us for the most current availability on this product. Wood & Finish Burnished brown finish. 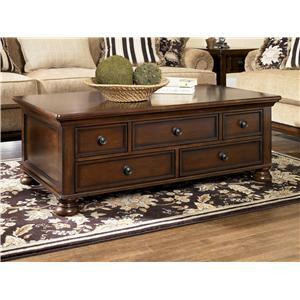 Handles & Hardware Drawers on select tables have a dark bronze colored knob and backplate. Case Construction Made with select cherry veneer and hardwood solids. 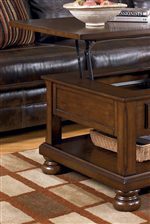 With a rich rustic beauty radiating from the stylish details, the Porter accent table collection flawlessly transforms the atmosphere of any living room environment. The select cherry veneer is beautifully bathed in a burnished brown finish that flows over the framed details and turned bun feet to create furniture that perfectly captures the ideal of rustic design. 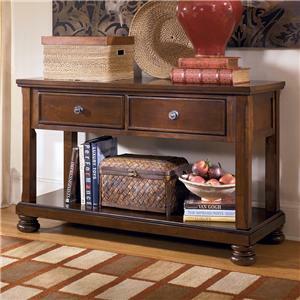 With the dark bronze color finished hardware and ample storage space, the Porter collection is as functional for your living area as it is stylish. 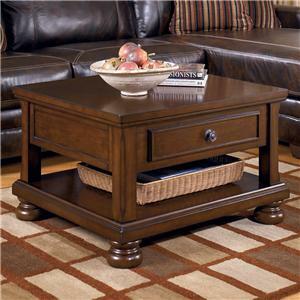 The Porter collection is a great option if you are looking for Traditional furniture in the Worcester, Boston, MA, Providence, RI, and New England area. Browse other items in the Porter collection from Rotmans in the Worcester, Boston, MA, Providence, RI, and New England area.